Made in collaboration with Juhye Lee, Jeff Gough and Alan Ambrose. 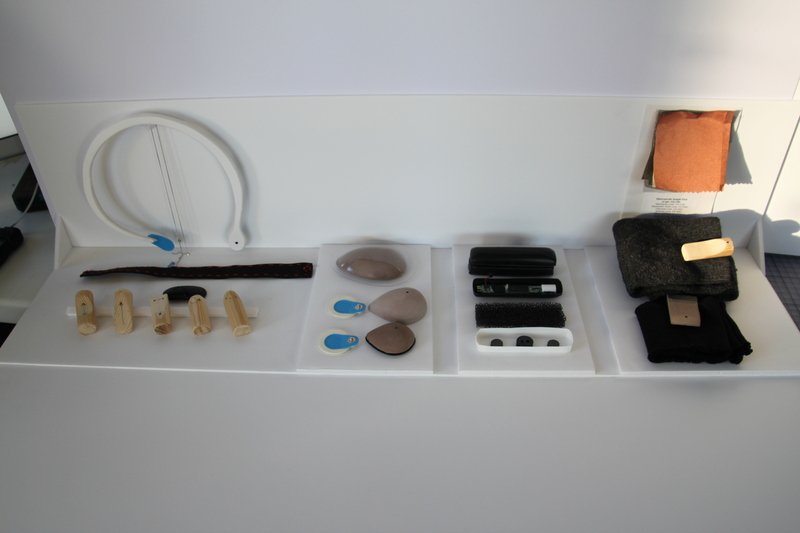 Io is a wearable emotion logging system that helps people with autism spectrum disorders discover the triggers of their anxiety. Most people with autism are on the high-function side of the spectrum, holding down jobs and living fulfilling, independent lives, but they typically still experience anxiety in response to certain social or sensory triggers. It's more than unpleasant: in the worst cases, it leads to severe panic attacks. This is a particularly tough problem, because autistic people also frequently have a hard time interpreting their own emotions, which makes it especially difficult for them to respond to or even identify what's stressing them out. Io consists of three components that work together to address these individuals' anxiety. 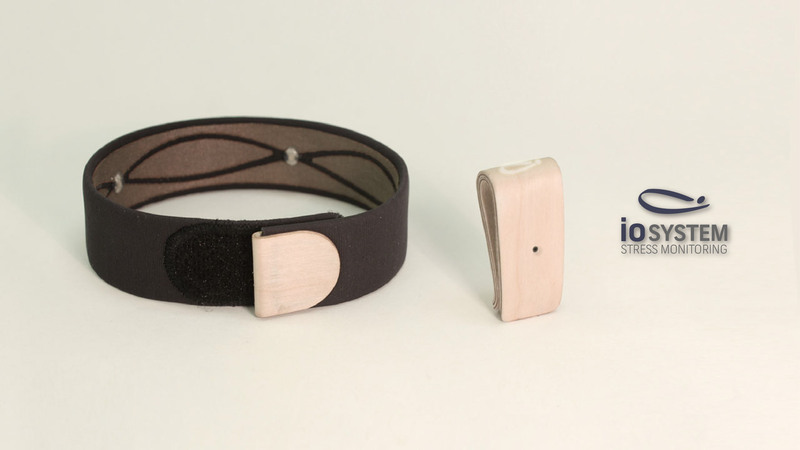 The first is an anklet, co-designed with users for comfort and style, which monitors physiological indicators of anxiety. The anklet communicates wirelessly with the second component, a subtle wearable camera, which captures a short clip of video and audio from the user's point of view whenever the anklet detects that he or she might be getting stressed. 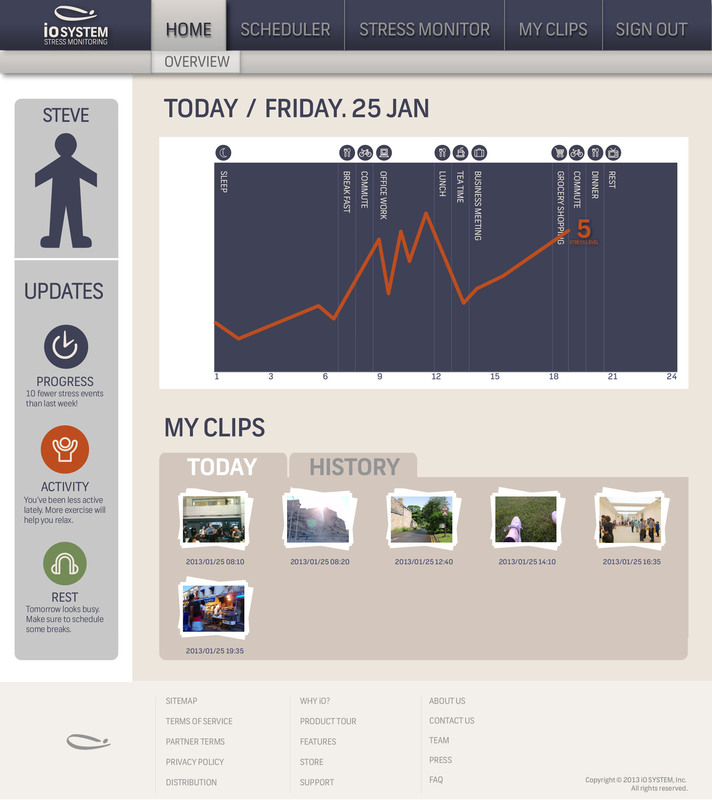 A web-based software application then cross-references this information with the user's schedule to create a log of anxiety across days and weeks. 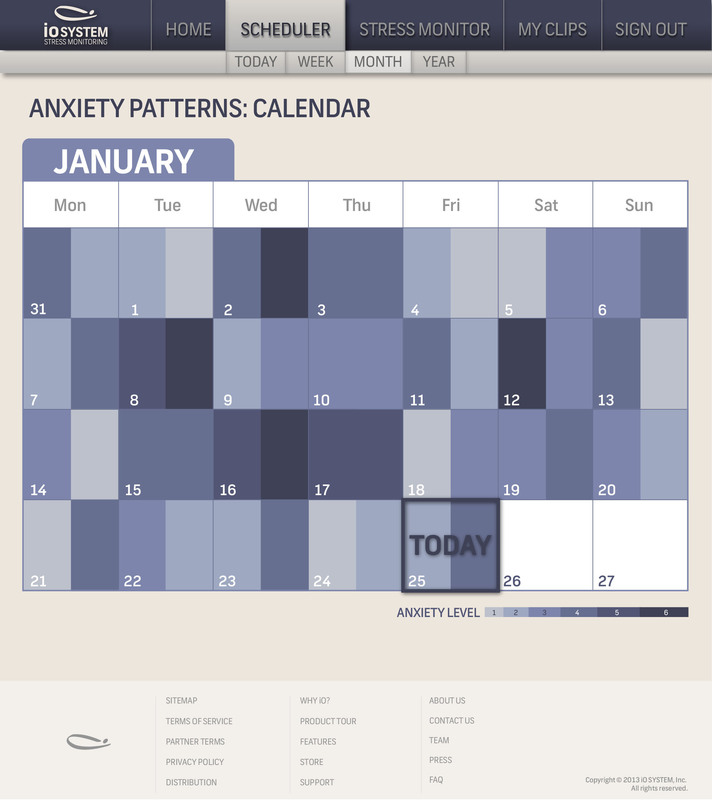 The software helps to identify instantaneous anxiety triggers as well as relationships between patterns of anxiety and patterns of activity over time, enabling users to address anxiety triggers in their lifestyles and environments. The Io system can also increase the speed and effectiveness of cognitive-behavioral therapy, which many people with autism currently use for anxiety management. 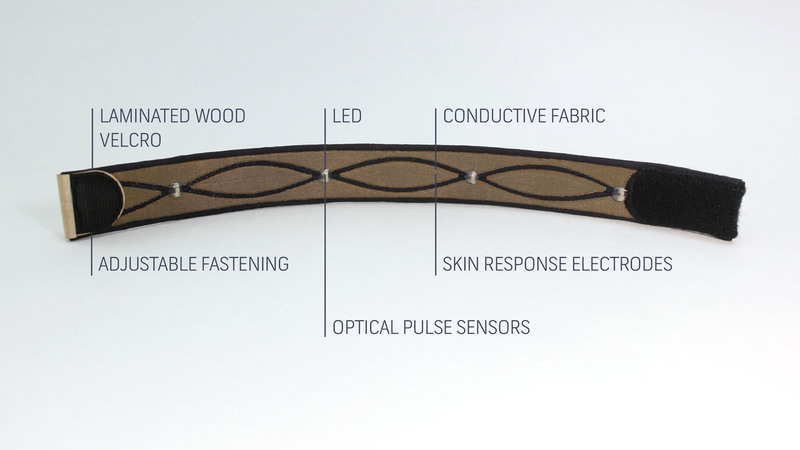 A model of the anklet showing the cloth skin conductance sensors, LEDs for pulse plethismography, and soft, lightweight materials selected for users who are hypersensitive to touch. 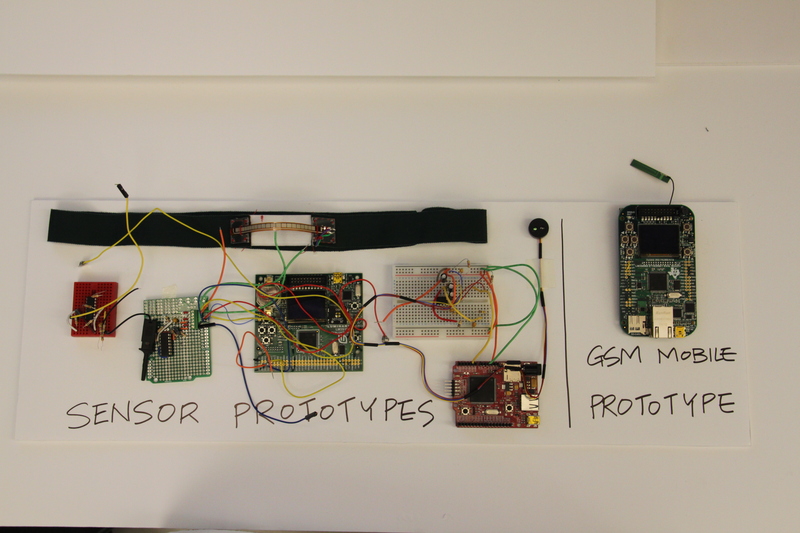 Working prototypes of the electronics. Iterations on models for the aesthetic design. Sketches for the website design.